Have students try these activities to expand their knowledge and interest in the Aztecs. Have students find Mexico on a map or in an atlas. Then have students locate Mexico City. Explain that latitude and longitude are used to give the exact location of a city or place. Students should find the latitude and longitude of Mexico City. Students can then play a longitude and latitude game. On a piece of paper, each student should jot down the latitude and longitude of any other city in the world and the name of the city. Collect all the papers and select one at a time. Read the longitude and latitude aloud and challenge students to name the city. In the topic The Aztec Calendar, students learn that the Aztecs’ solar calendar was divided into 18 months of 20 days each. Five “nothing” days were added at the end of each year. Have students do some math problems using those numbers. For example, how many total days were there in one year? In two years? In five years? In ten years? How many “nothing” days are there in 15 years? Twenty years? What percent of the days of the year are nothing years? Have students draw their own versions for each of the 20 days on the right hand side of the sacred calendar. First, have students use a compass to draw a large circle. Then ask, “How many degrees are in a circle?” (360) Explain that they will need to divide the circle into 20 sections, and guide students to determine how many degrees each section will be. Next, have students use a protractor to measure each section. Then students can draw each of the “days” in order, similar to the way it is shown in the topic. Display artwork on the bulletin board. In 1519, Spanish explorer and conqueror Hernán Cortés arrived in Tenochtitlan. Have students find out about some other events that took place around the world in the 16th century. Each student should write a paragraph on five events that took place in the 16th century. They should explain what happened and where it took place. As a class, put the events in time line order. In Aztec times, there were celebrations like the sun dance ceremony, in which people asked the jaguar god for rain. Have students imagine that they are asking the jaguar god for rain. 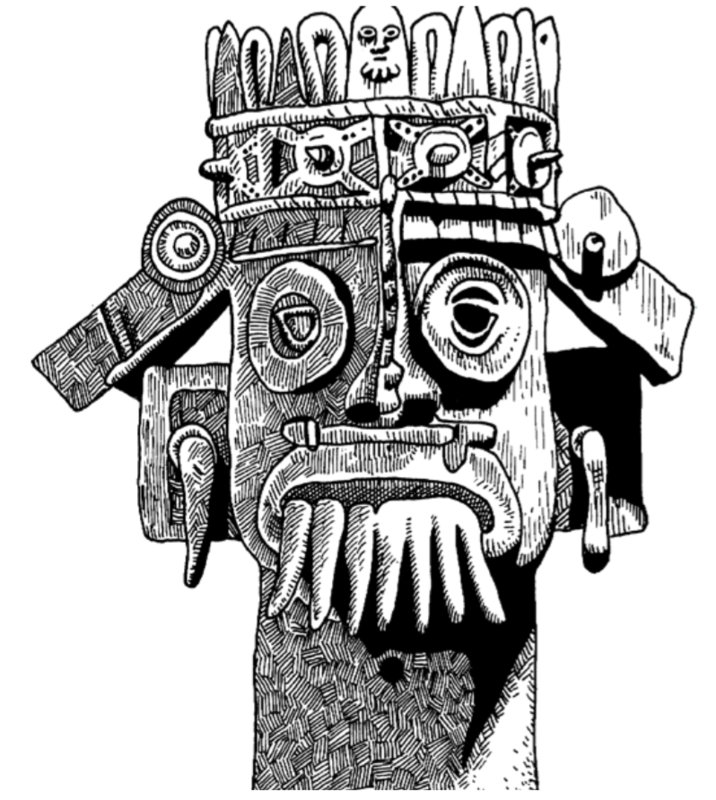 Students should write a poem, asking the jaguar god for rain, and telling why they want the rain.